Our final workshop of the half-term was made a bit more special by the involvement of two guests from the publishing house of Thames &Hudson. Sarah and Jane are, as Designer and Editor, part of the team putting together ‘The Boy Who Took the Artist to the Zoo’ (provisional title) by Anthony Penrose, which will follow on from the author’s hugely popular, ‘The Boy Who Bit Picasso’. As the son of photographer Lee Miller and painter and writer Roland Penrose, Anthony Penrose was lucky enough to meet many famous artists of the era, including the Spanish Surrealist Joan Miró, who came to visit the family’s farm in Sussex during the 1940s. His new book will tell the story of a particularly memorable visit to London Zoo, where Miró’s delight in the animals is recounted by Mr Penrose with equal insight and humour. 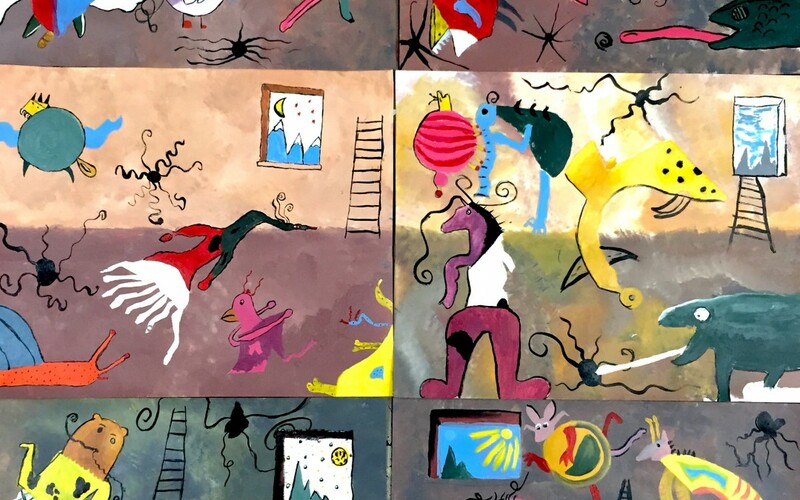 Some of the pupils who participated in this Miró workshop will be fortunate enough to have their work reproduced in the book. Miró was a surrealist and the workshop presented pupils with an opportunity to create totally random shapes by ’taking a pencil for a walk’ across the paper. This is also known as ‘Automatic drawing’ and creates totally unique shapes of the pupil’s creation to be included in their work. Sarah and Jane took photographs of each ‘phase’ of the workshop and spoke with the pupils about their work and the techniques they were employing to create it. 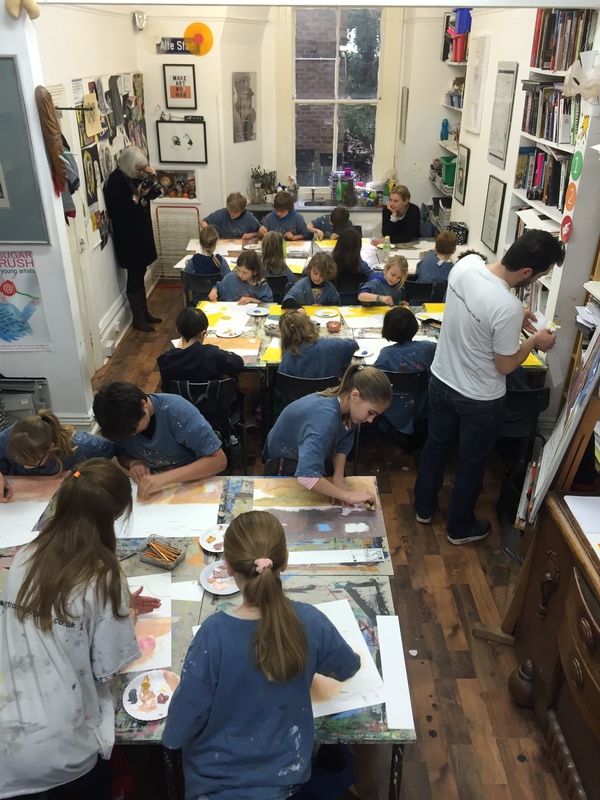 The workshop could hardly have gone any better in terms of the diligence, creativity and concentration of the pupils. Sarah and Jane were fascinated by the process of the workshop and very taken with the work produced. At the end of the day they thanked the pupils profusely for the excellent work they had created and announced that they would be “borrowing” every single piece of work made that day: all 24 of them! After being photographed and put forward for selection for the book, the children’s artwork will eventually be returned to them. As a thank you from Thames & Hudson each child present at this workshop will receive a copy of the book once it is published. Driving Sarah and Jane to Hove station in the pouring rain after the workshop had ended, they made it clear how delighted they were with the work produced and what an enjoyable day it had been for the both of them. Here at Artroom we can hardly wait to see the book hit the bookshops, and we were enormously pleased and proud to be a part of this process. A big thank you to all the pupils who took part and also to Sarah and Jane for being great guests (and for the delicious chocolate brownies they bought for us to have with our afternoon tea! ).All in all it was a great way to round off another week of successful workshops.